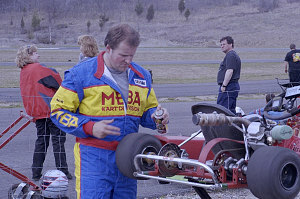 As some of you already know, and if you poke around enough on my web page - I'm a motorsports nut in addition to being an outdoors-head. On this website, car-things have generally always taken a back seat to adventuring in the outdoors. Today you're going to read about a different sort of trip - one focused on redlines and rev-matching, clutches and camber, oversteer and octane, hairpins and horsepower; torque and turn-in. Note: A movie is also available! In case you prefer watching to reading, there's a full-length movie covering this trip, available on the Movies Page. Let's wind back a bit, to 2017 - when after fifteen years of ownership, I sold my beloved 2002 Honda S2000 to my best buddy and fellow motorsports enthusiast Luke Ward. I had been thinking of selling the car after so many years of ownership, thinking I might try something new. Luke had himself sold his own S2000 (a year 2000 model) five years ago, and in the intervening time had grown to regret it. When he heard I was pondering selling it, he actively stoked said pondering. It mattered to me that the car went to a good owner, one who would continue to honor it and keep it in excellent, non-winter-driven condition. So the deal was made. And now I was without something sporty to drive, a first for me since my 1989 Honda Civic Si. To be honest, I wasn't in any particular rush to replace the S2000 with another sporty car. After all, most of my recreational activities tended towards the muscle-powered variety: hiking, cycling, kayaking, canoeing, climbing. 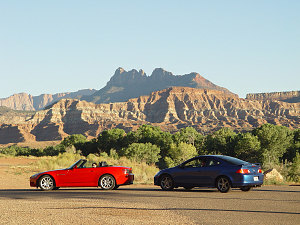 The more I thought about it, the more I realized that - on paper - the cost/benefit ratio of getting a newer, "better" sportscar after the S2000 didn't really make sense. I stewed on that for some months. But then I thought back to the fun times I had had on road trips to scenic locales with great curves: sweepers and hairpins and esses. Our 1998 and 2004 Continental road trips. 2008's Awesome Appalachian Auto Adventure. 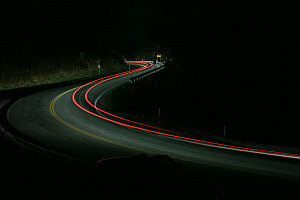 Many trips to the curves of the Adirondacks. Visits to regional racetracks. 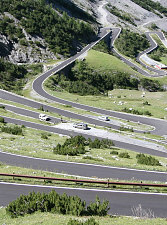 And yes, even the fantastic winding ways of the Alps (although, of course, not with our own cars). And I realized that what seems obvious on a financial spreadsheet does not always feel obvious to the senses, to the mind, the soul. There was just something about heeling-and-toeing down to a perfectly paved and cambered switchback, dialling in just enough power to get that hint of extra rotation, then powering out and upwards through a series of forested esses, shafts of sunlight and pockets of shadows racing by until the trees thin out and the alpine takes over. Now with clear sightlines around the bends, a bit of extra tarmac can be used on each corner, the road fully absorbing your attention as you become attuned to its rhythm, its texture, its grip. The smell of hot pads and the sound of ticking metal as you stand at a beautiful roadside pullout, looking at the sinuous route you've just blasted up. Nope - I was not ready to give that up. So... now what? My wants in a car diverge greatly from the general population: Relatively Compact. Rear-wheel drive. Manual transmission. A non-overwrought exterior. A straightforward, unfussy interior. Lightweight. Minimal assistance. And, of course, excellent performance and an engaging driver's experience. Finally, something which was worthy as an S2000-successor (a high bar indeed), which definitely satisfied all of those criteria. There wasn't much out there? Maybe the Subaru BR-Z or its Toyota sibling? hm, no - not an upgrade from the S2000. A mustang? never have I really been a fan of the muscle car experience, so no. certainly a high-powered exotic would be interesting, but I wasn't willing to spend that kind of money or deal with the excessive bling and attention. Big and heavy 4wd beasts like the Skyline GT-R were also not really my thing. That left... something.... German? Yeah, something German. So let's see... all Mercedes cars in North America were automatic. Ok, then that's an automatic no. Porsche had some fantastic models but I wasn't willing to spend the premium they command. Volkswagen and subsidiary Audi only had elevated performance cars that were all-wheel-drive models derived from what are essentially front-drive powertrains. 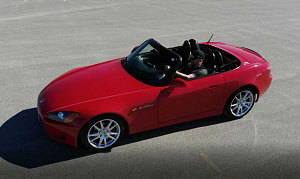 I really liked the S2000's longitudinally mounted front-engine / rear-drive layout. And that brought us unerringly to one manufacturer: Bavarian Motor Works of Munich, Germany. You may know it by its more familiar acryonym: BMW. BMW - conservatively-styled, front-engined, rear-drive coupes and sedans, quite fun and capable in their sportier incarnations. And there was one model in particular that was relatively reasonably-priced and had all of the attributes I want (save perhaps for a slightly porky weight): the BMW M2. And so, during the dark days of winter, I placed an order for a new 2018 BMW M2. There was one final attribute, one final perk that BMW offered that put the final nail in the purchase decision coffin: The ability to drive my new car on those awesome alpine roads I mentioned above. 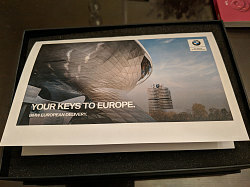 I could do that because BMW, as other "premium" German automakers do, offer a program called "European Delivery". 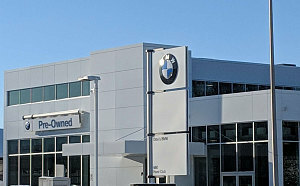 European Delivery is a no-cost option that allows you to pick up your new BMW from BMW World Headquarters in Munich, drive it around Europe to your heart's content, then drive it to a port or designated drop-off point and have it shipped to your home dealer right here in North America. Plates and insurance and emissions stickers... all are prepared for you, along with a fancy welcome and presentation ceremony at the BMW Welt center in Munich. So, yep... the European Delivery option had sealed it for me. I closed a deal with the nice people at Otto's BMW in Ottawa, Canada (thanks Jose, David, and Mulu), for a 2018 Long Beach Blue M2. With adaptive LED headlights as the only option. And a 6-speed manual, of course - thank you very much. It's kind of the culmination of a few years of car-related fun isn't it? Well, more than just a few years I guess. 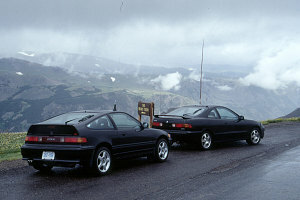 I think we did our first driving together back in about 1988 at Acadia, when Andrew's work term income coupled with the fact that his dad was a Honda dealer, meant that he'd found the ways and means to buy a Honda Civic Si. We both watched F1 at the time, and something about taking his little black Si out on the roads around Wolfville resonated with us. Projecting ourselves into the race cars we were watching? Maybe! I know that we treated ourselves to the Canadian Grand Prix as a graduation present to ourselves in 1991 (gold seats no less) and though that seems a long way ago now, it's the start of a thread that's been woven through our lives ever since. There's something a bit poetic about us travelling to one of the most (in)famous tracks in F1 history, at this stage in our lives, having come through all our adventures with roads, routes, races, and cars over 28+ years. So, there it was - an arrangement to pick up a fun car in a European city followed by (hopefully) many enjoyable days of spirited track and twisties driving. The only thing missing was the right companion. And just who do you, dear reader, think I approached? Who in all of this big wide world shared my passion for threshold braking and lateral g-forces, and as well, someone who's vehicle handling ability I understood and trusted? Luke said yes virtually immediately. We had in fact been contemplating how we were going to swing a trip to the most famous lapping sessions of all, at the world-famous Nurburgring, and this BMW Euro Delivery thing fit perfectly into those plans: drive around for a couple of weeks in the alps, familiarize and break-in the new car, then finish off with a visit to the historic circuit. I certainly didn't have to sell my idea to Luke. In fact, I think I would have had to work hard to prevent him from coming along!